Ahead of its 22nd season on Comedy Central, the South Park TV show released a trailer demanding it be cancelled. We don’t think fans should sound the alarm just yet though, because it has already been renewed through season 23. Still, we’re keeping an eye on the Nielsen ratings, trades, and press releases, in case the joke turns serious. So, will South Park be cancelled or renewed? Stay tuned. Trey Parker and Matt Stone’s animated Comedy Central TV series, South Park centers on four third grade boys who live in South Park, Colorado: Stanley “Stan” Marsh (Parker), Kyle Broflovski (Stone), Kenneth “Kenny” McCormick (Stone), and Eric Cartman (Parker). The voice cast also includes Mona Marshall, April Stewart, Adrien Beard, and Jennifer Howell. 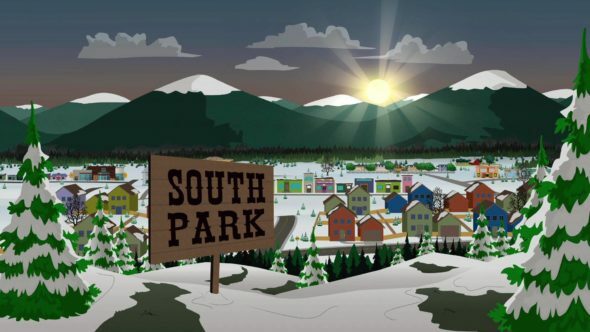 For comparisons: Season 21 of South Park averaged a 0.66 rating in the 18-49 demographic with 1.153 million viewers. What do you think? Do you still like the South Park TV show? How much longer do you think it will run on Comedy Central?